Distinctive Stereo is the exclusive U.S. 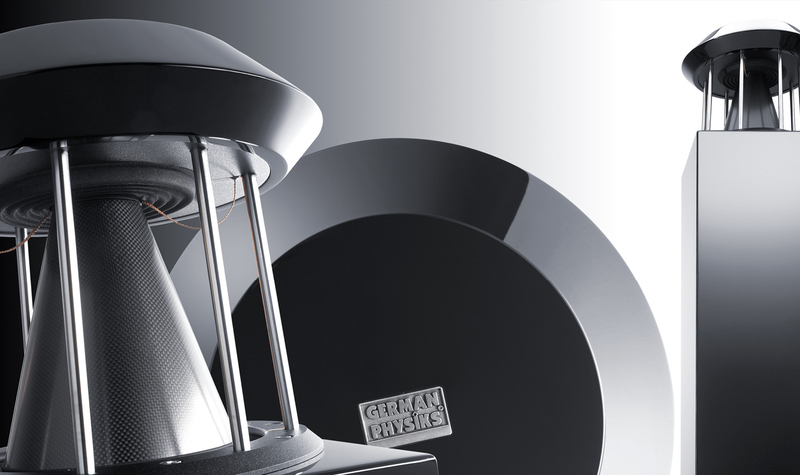 Distributor of the GERMAN PHYSIKS range of omnidirectional loudspeakers. 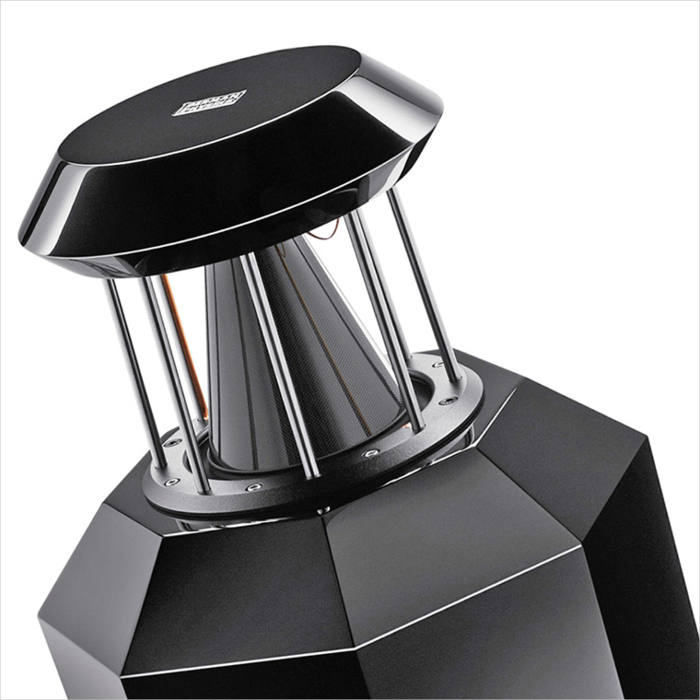 All German Physiks loudspeakers use their exclusive DDD driver. This is an omnidirectional driver with an exceptionally wide bandwidth: ~200Hz* to 24kHz. 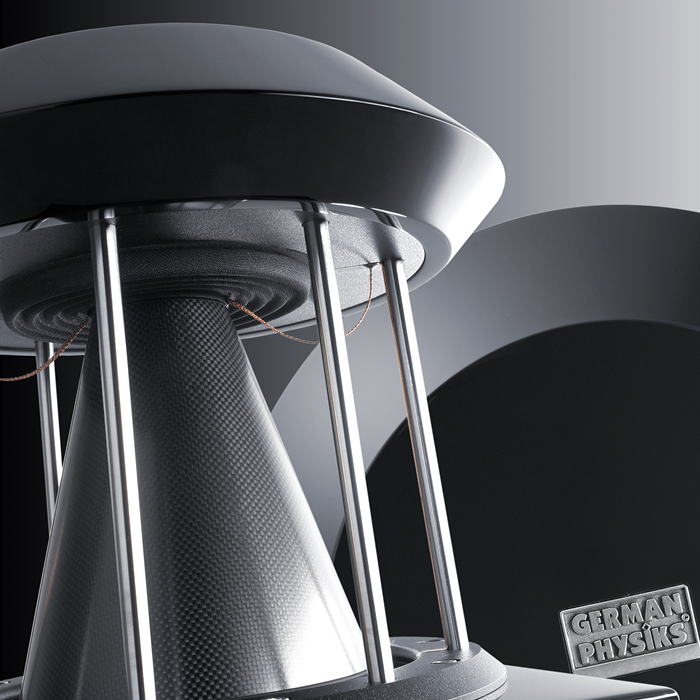 The use of the DDD driver gives all German Physiks loudspeakers several advantages over conventional designs and these are briefly explained further at GERMAN PHYSIKS. All German Physiks models from the entry level Unlimited Ultimate (MSRP approximately $18,500, depending on finish) to the flag ship Gaudi Mk II (MSRP approximately $325,000, depending on finish), use the same DDD driver. As you go up the range they employ 1, 2 or 4 DDD drivers for higher maximum output levels, increased dynamics and greater ease in larger rooms; more sophisticated crossovers for greater resolution, and larger bass systems for a more extended bass response. Consequently the entry level model will give the listener a very significant taste of what the models further up the range can do. 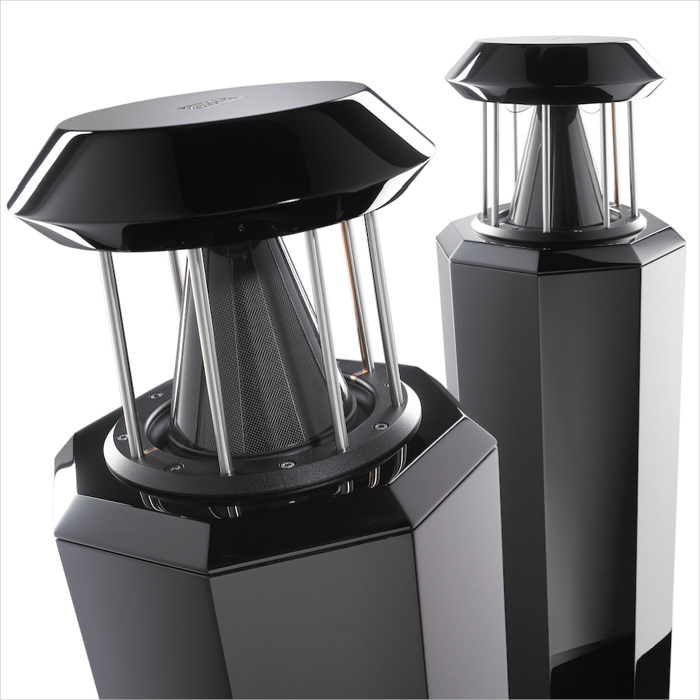 At Distinctive Stereo, we usually have the three most popular German Physiks models on permanent demonstration: the entry-level Unlimited Ultimate, the HRS-130, and and the top-selling Borderland Mk IV. Call us today to book an audition and hear for yourself why music lovers around the world are in awe of German Physiks speakers’ ability to emotionally involve and draw the listener into a performance. 1.It is omnidirectional, meaning that it radiates the sound evenly around it. 2. It has an exceptionally wide operating range. Its typical operating range is from around 200Hz up to 24kHz—almost 7 octaves, though in the Unicorn Mk II, it operates from 40Hz to 24kHz. Pistonic radiation,where the driver cone goes back and forward like the piston in a car engine. Bending wave radiation, where the driver cone flexes and a waveis made to travel down its side. Modal radiation, where the driver cone is allowed to go into break up and modes are established on the cone surface, each acting as an individual sound radiator. 1. Excellent stereo images enjoyable from a wide range of listening positions. 2. Very accurate and realistic stereo images. 5.Very accurate portrayal of music instruments’ tonal characters. *The DDD driver lower limit varies with the German Physiks model it is used in. In most cases it is around 200 Hz but in one model, the Unicorn Mk II, it is 40 Hz.